I had a chance to interview someone who I see as being a person who gives alot of her time to helping make better place for people to live in. She is caring person who is willing to help the people that need help, mostly children. Mrs. Boddie has a unique way of expressing herself when you talk to her about something that has reall effected her in any way. Mrs. Boddie is a very spiritual person and brings that into her working skills. Loves helping youth from different avenues in leading them into a positive journey. During High School at a point when there were not many activities for black girls, my friends and I decided to create an activity of own (Step Team) where the saying “North Side” started. The idea was shared with Mrs. Boddie who had been apart of most of our lives since elementary, diligently trying to keep us out of trouble, teaching us to be the best we could be, and most importantly teaching us to develop and maintain a relationship with God. Mrs. Boddie helped us find a practice space, drove us to and from practice, and eventually helped us become a well anticipated group who performed at basketball half times at Bloomington North through out our remaining high school years. 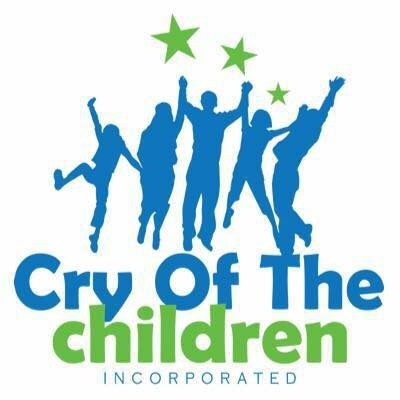 Cry of the Children/Mrs. Boddie was a instrumental part of me adolescence, it taught me to be proud of myself never settle for no, never say “I can’t that I could DO anything and BE anything with hard work and Faith in God. These were lessons that I’ve carried over into adulthood and apply to my life daily. Who knows where I would be or what I could have become with Cry of the Children, Inc. I am forever grateful for Mrs. Boddie’s unconditional love, wisdom, and unwillingness to give up her (God’s) children.